All too often, the subjects observed in anthropological studies are not in control of their own story. 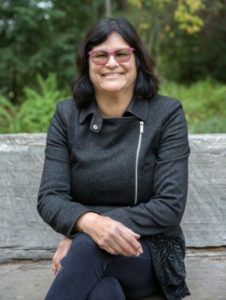 However, authors like UC Santa Cruz anthropology professor Renya Ramirez are changing the trend, putting the observed in charge of their own examination. 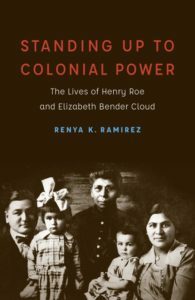 Frustrated with the attempts of non-Natives to tell her grandparents’ story, Ramirez published Standing Up to Colonial Power: The Lives of Henry Roe and Elizabeth Bender Cloud in December 2018. Ramirez wrote with the intention to combat criticisms of her grandparents and instead highlight the successes of their activism. Roe and Cloud were members of the Ho-Chunk and Ojibwe tribes of Nebraska and Minnesota. They were intellectual leaders who worked to change government policies threatening Native rights during the first half of the 20th century. One of their most significant contributions to the Native community was founding the American Indian Institute, a college preparatory school for Native men in Wichita, Kansas. The school did not promote revolutionary activism and, as a result, was criticized for not being radical enough in its teachings. Instead, the school taught Native men how to become “Christian Warriors” educated in the tools of the dominant culture to fight it from within. Renya Ramirez wrote her newest book to reframe the stories of her grandparents’ activism. Photo courtesy of Jennifer McNulty. Being a woman of Native descent, Ramirez writes her book from a historically underrepresented group within the anthropological field. Most studies that examine Native communities are done by non-Native anthropologists. Having a personal stake in her research gives Ramirez an insider perspective rarely present in her field. Books like Ramirez’s combine critical examination with a personal vulnerability seldom seen, bridging the gap between insider and outsider. By being a professor, Ramirez contributes to the development of future anthropological thought. In sharing her unique perspective with students, she helps form a new mode of thought for future anthropologists. Students and readers of her book will have a more complete picture of approaches to fighting colonialism and will be more aware of how colonialist forces affect their own perspectives. “Obviously, having Native people directly determine anthropological research programs and methods can help to assure a level of accountability that was generally absent in the past,” said Ramirez’s former student, Daniel Schniedewind in an email. In developing her book, Ramirez felt a profound sense of pride in her grandparents and was grateful for the opportunity to present their story to the world. Through their activism, Ramirez’s grandparents helped foster generations of progress for Native people and did so during one of the most difficult times for Native people in history of the U.S.